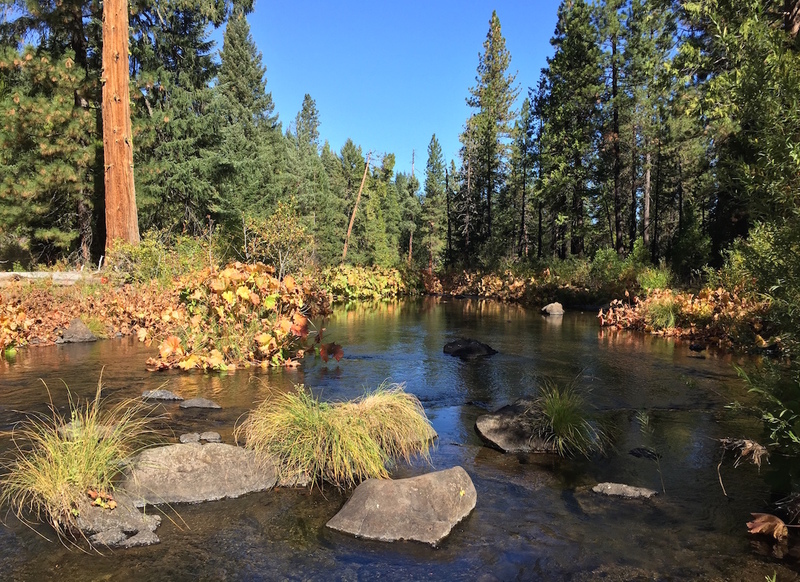 Catching a McCloud River redband in an historic drainage wasn’t the easiest task for me. I had to try a few times in a few different waters to finally land one. 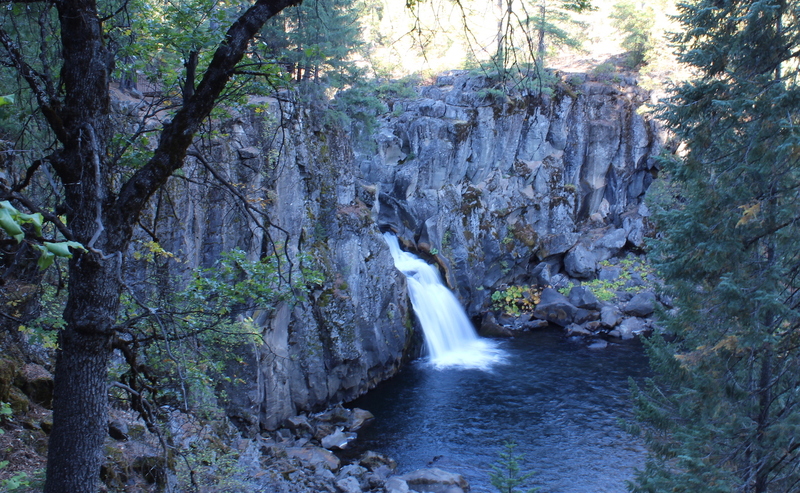 On October 6, 2014, I tried my hand at the McCloud River above the Upper Falls. 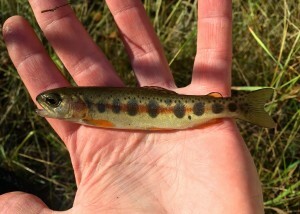 There I caught a small brown trout and had a few light bites from what looked to be a redband, but had no luck in landing one. The next day I headed out of the area to fish for 2 other species (the Goose Lake redband and the Eagle Lake rainbow) which proved a successful trip. For my second attempt at the McCloud River redband I made my way to a creek north of the McCloud River in the early morning of October 9 hoping for better luck… but again left empty-netted. 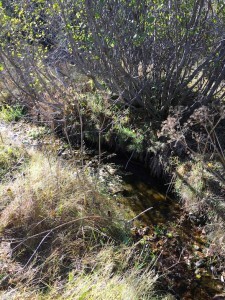 Once more I left the area to find another fish – the coastal cutthroat. That trip also proved successful so I headed back to Siskiyou County. For my third attempt, I made my way back up to the creek north of the McCloud river. This time I finally caught two tiny redbands that were hiding along the banks of a narrow stretch of the creek! 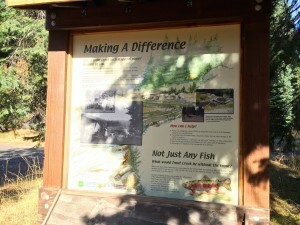 Very cool to see the fish firsthand, snap a picture, and return them safely to their home.